Some of our firework art. 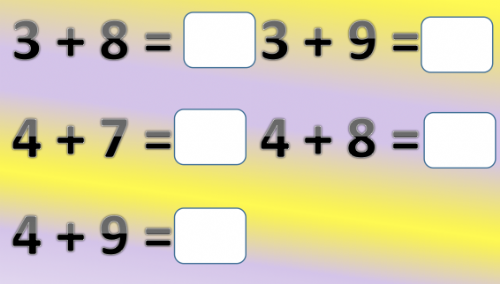 We have been keeping fit by learning maths outside. 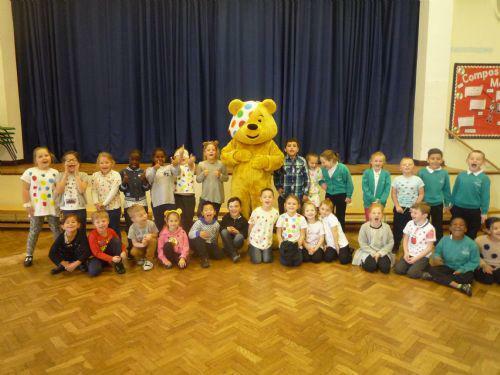 Pudsey Bear paid us a visit for Children in Need - we raised lots of money for a great cause... thank you everyone. Upbeat music are teaching us how to play Samba music. We had visitors from the church who talked to us about Christianity using an interactive show. We visited Cefn Mably Farm and had the best day ever! We fed the goats, sheep, horses and donkeys. We also held the rabbits and guinea pigs and fed them carrots. We baked some delicious bread - eat your heart out Paul Hollywood! We picked apples from our orchard and blackberries from the hedge and made a delicious crumble. This half term Joel, from Upbeat Music, taught us how to play the djembe (an African drum).